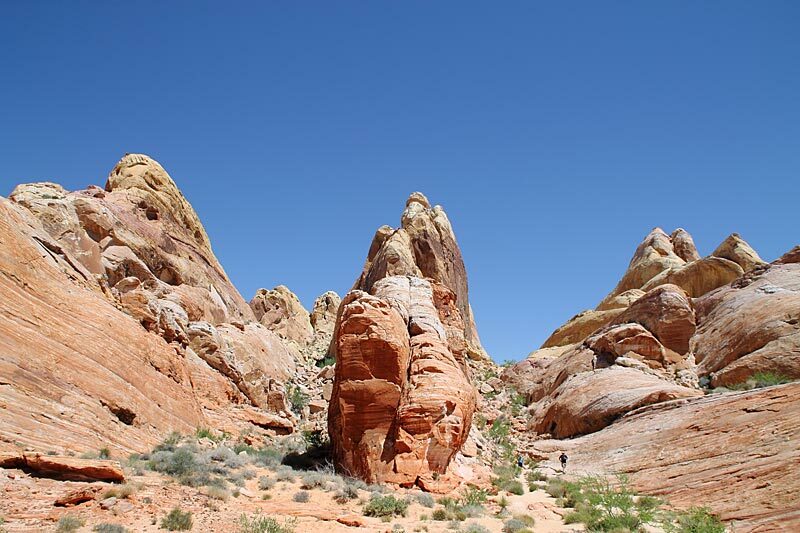 Here my wife is enjoying the amazing rock formations at the Campground. 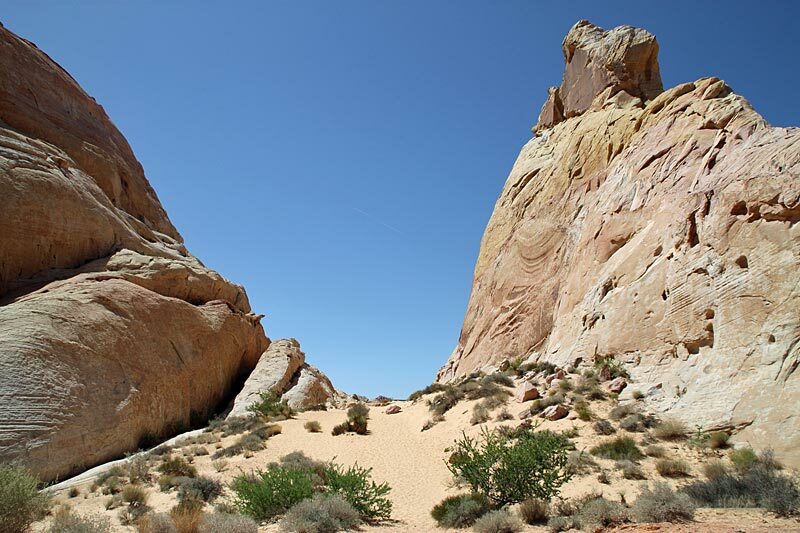 A short road loops around it and goes by some of the most interesting formations in the park. 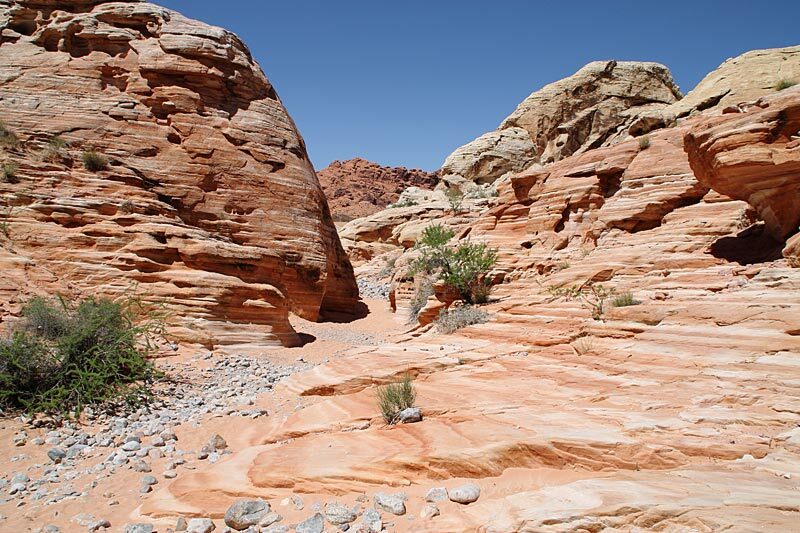 This photo is taken from the Rainbow Vista parking lot, looking back at the road leading from the Visitor Center. 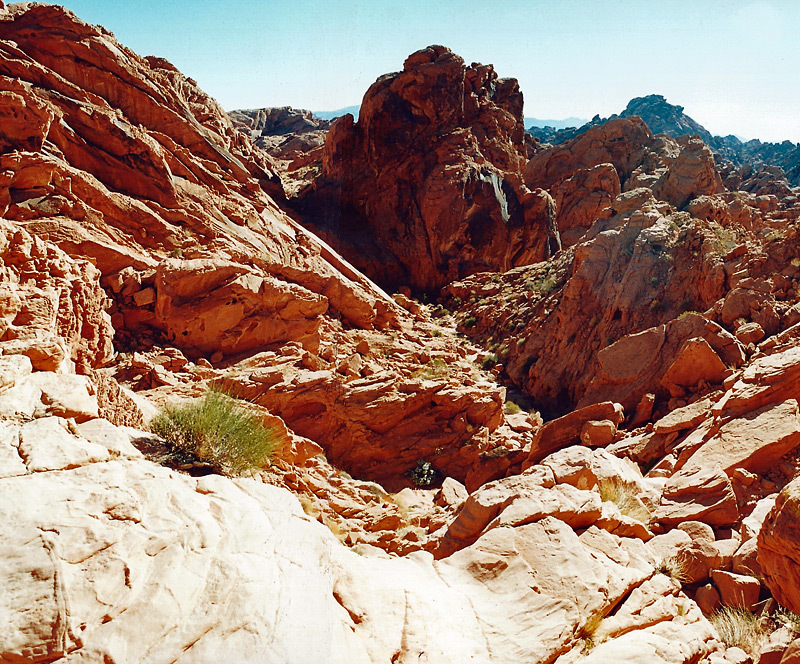 From the Rainbow Vista parking lot, it's a little under a mile walk to this overlook of Fire Creek Canyon (the full size image is knit together from 2 wide-angle photos). 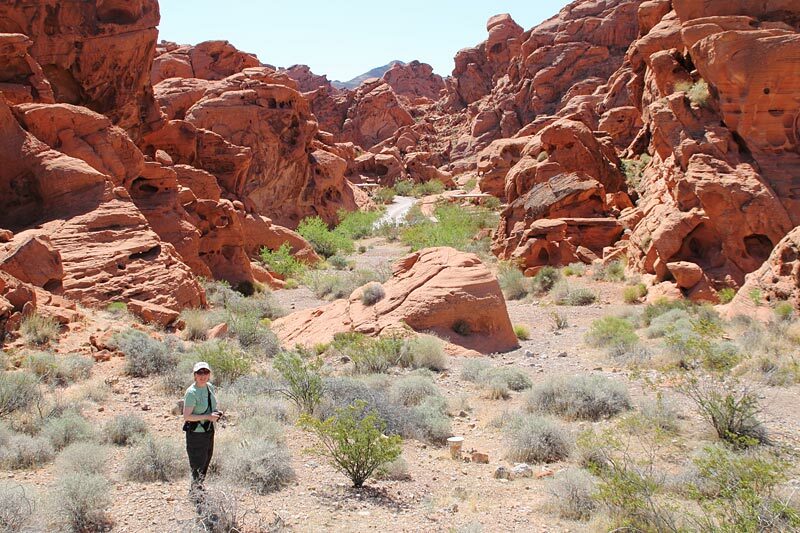 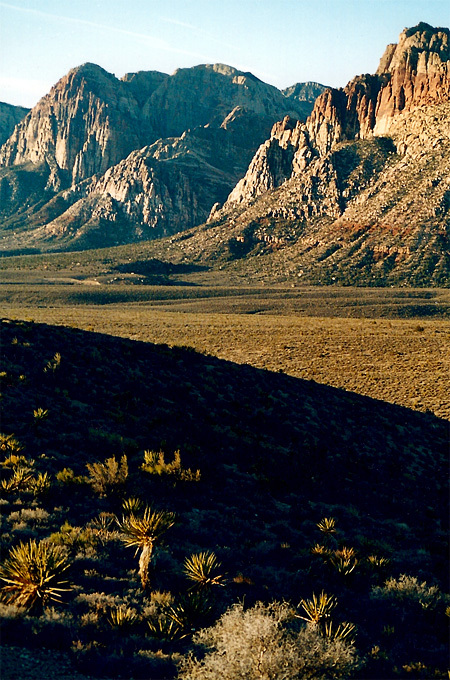 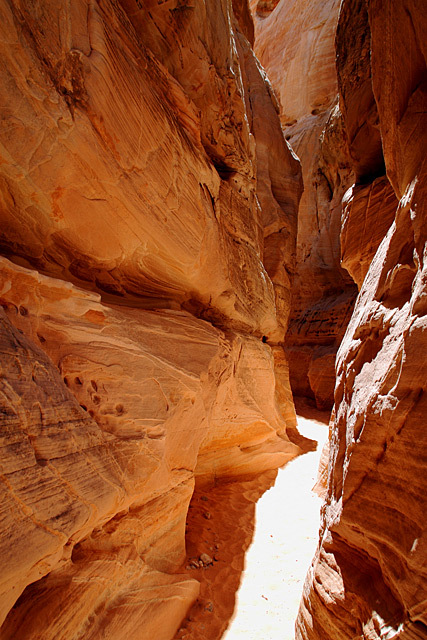 Red Rock Canyon National Conservation Area is just 30-40 minutes west of Las Vegas. 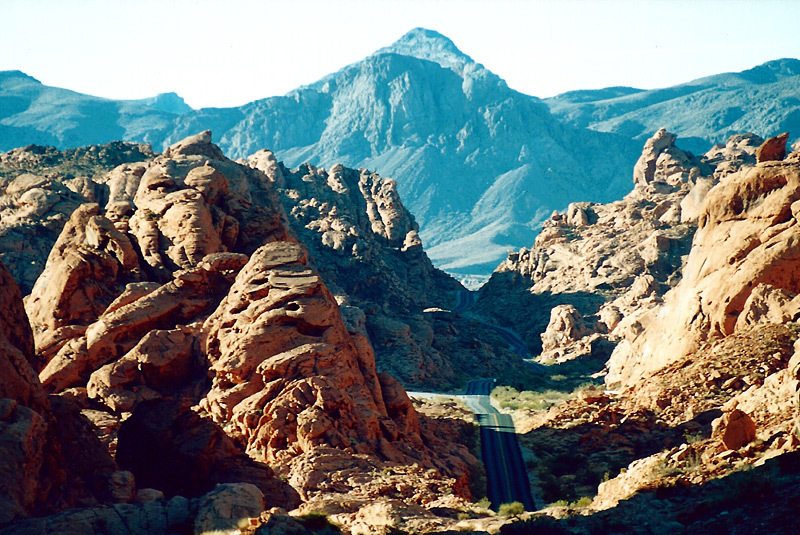 The 13-mile scenic drive will take you to a variety of hikes and several overlooks, including the High Point Overlook. 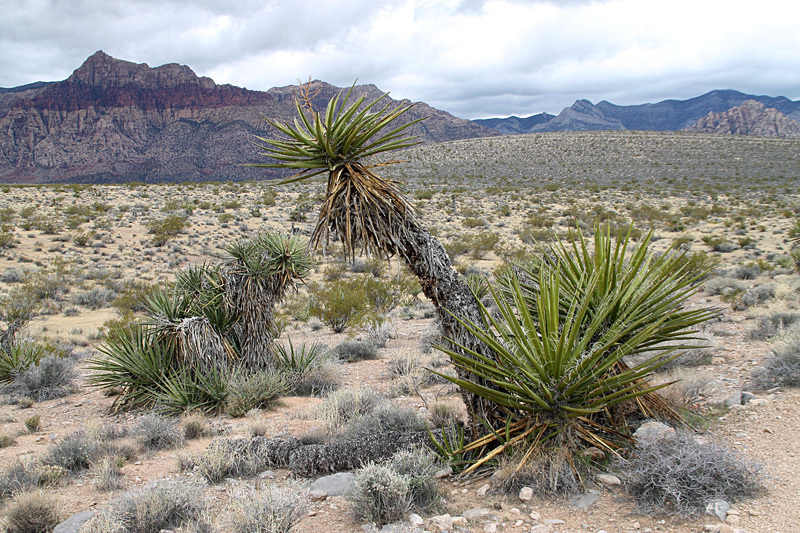 Moenkopi Hill is an easy 2 mile loop which starts at the Visitor Center and provides wonderful views of the surrounding areas. 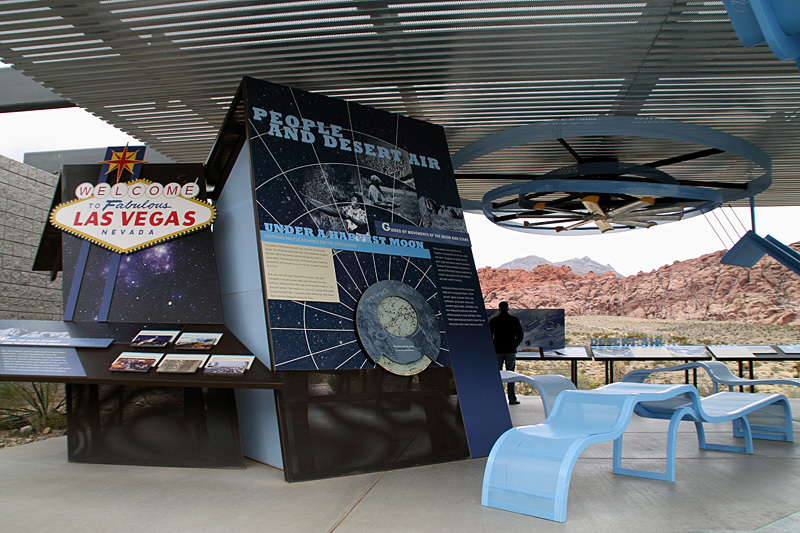 An outdoor display at the Red Rock Canyon Visitor Center. 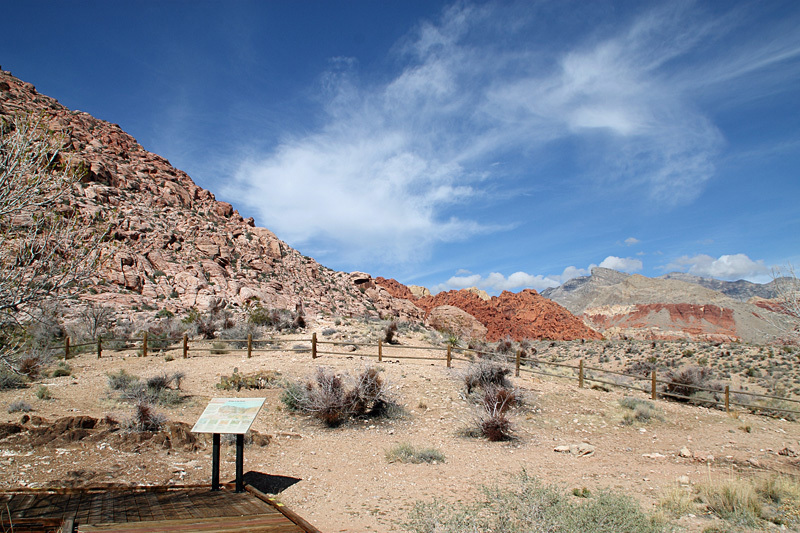 The short, easy Red Spring Boardwalk is just a short distance from the entrance to the scenic drive and well worth the side trip. 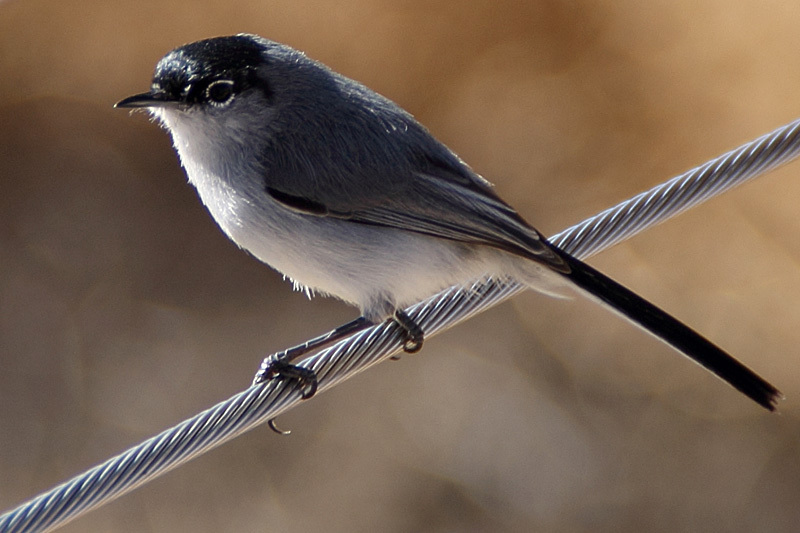 This Black-tailed Gnatcatcher was just one of many interesting birds hanging around the several large ponds at the Henderson Bird Viewing Preserve. 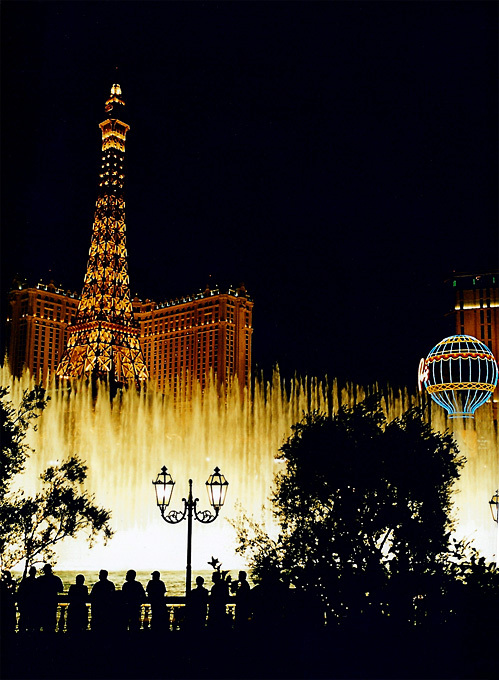 Since both of these areas are near Las Vegas, I couldn't resist including this photo of the dancing waters of the Bellagio, with the half-scale Eiffel Tower of Paris Las Vegas behind it. 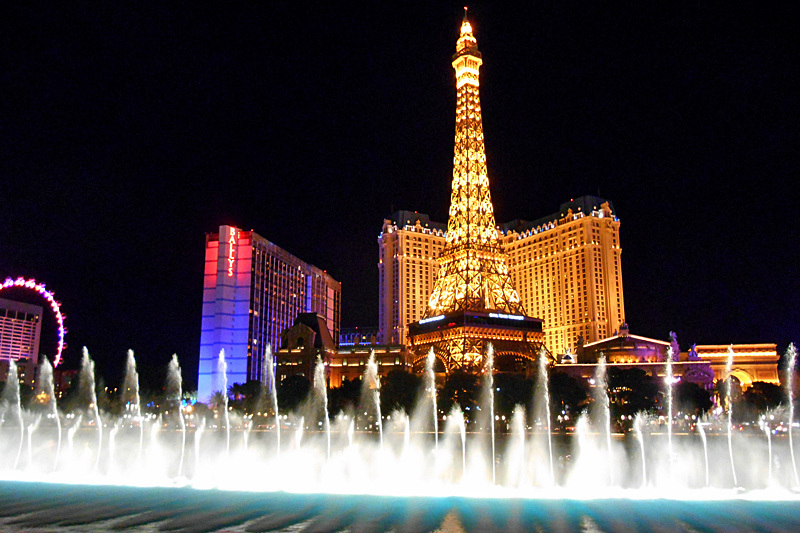 The official name is the Fountains of the Bellagio. 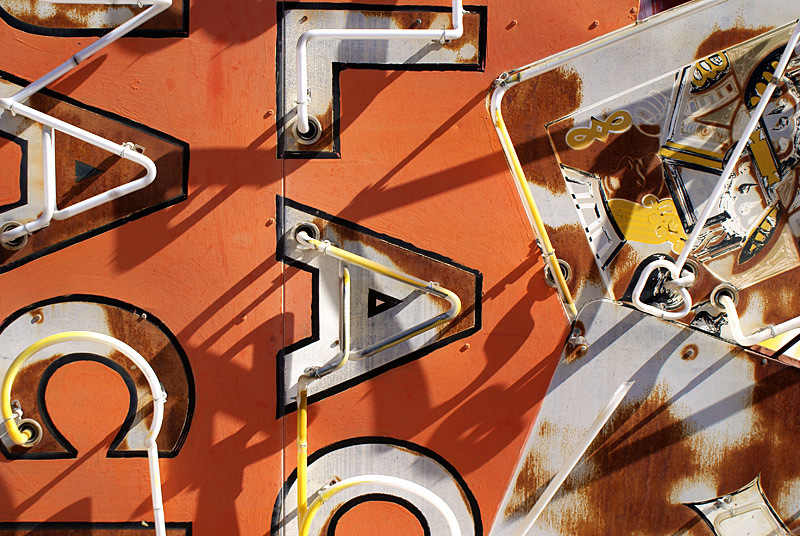 This is one of the many signs awaiting restoration in the boneyard at the Las Vegas Neon Museum.